Snaplock Blade Retention Systems are easy to use. Just snap in the blades and you are good to go. Super simple, super secure. Machined out of 100% Steel. The G 5 Deadmeat is super tough. If you really want to stack up the meat, then you need the all new Deadmeat. Replaceable blades are easy to install. Snaplock Blade Retention Systems are easy to use. Just snap in the blades and you are good to go. Super simple, super secure. Machined out of 100% Steel. The G 5 Deadmeat is super tough. If you really want to stack up the meat, then you need the all new Deadmeat. 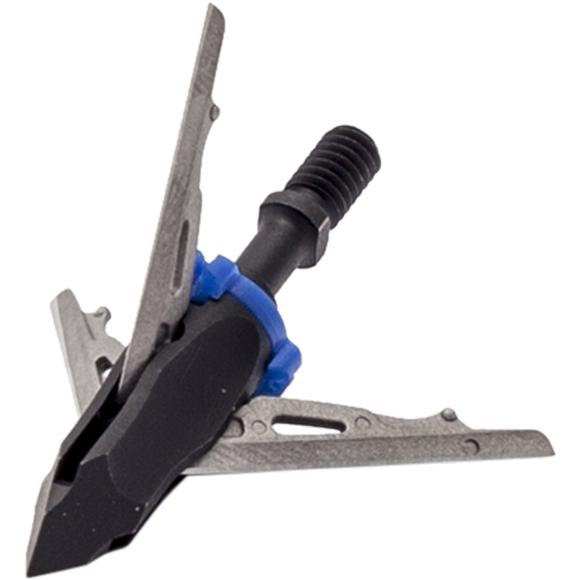 Replaceable blades are easy to install. Rear deployment blades and the proper blade angle means better penetration and higher blood loss.